With all political eyes now on the NHS, the relentless rise in patients using A&E as a first port of call has even more significance. 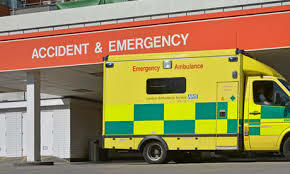 Recent research shows that one of the main reasons people head straight for A&E rather than any of the other NHS urgent services is that they simply do not understand how they work. Research done by Resonant-a London based agency specialising in behaviour change and social marketing recently worked across three major South London hospitals to try and find a solution. What they found was that parents in particular do not know the difference between urgent care, walk in services and minor injury units. More importantly they found that this patient group do not know why and when to use them. In fact the only services universally understood were GPs and A&E. Resonant devised an intervention called Get It Right which tackled this problem head on and delivered an 18% drop in demand on A&E services in this area of London. After much collaboration with local people and a variety of community groups Resonant came up with a simple and engaging guide to local services which gave local families across southwest London the confidence and capability to use other parts of the urgent and primary care network to access the care they needed. John Isitt, Director of Resonant says: “Local NHS organisations have not learned that it is not enough to tell people not to go to A&E. Instead it is vital to address people’s underlying motivations, anxieties by making the system simpler for them. Managing demand is not the answer to the whole problem but it is an effective, evidenced and good return on investment”.